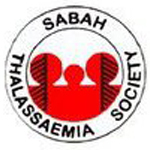 Sabah has the most number of Thalassaemia patients in Malaysia. A number of Thalassaemia patients unable to live beyond 20 years old because of incompliance to therapy and shortage of blood supply. The treatment is complicated and involved daily injections by patients or family. STS runs workshops to empower patients and motivate them to persevere with treatment.